Indeed, mobile money can help open the channels for further economic benefits such as higher savings and household expenditures, increased investment, and smoother consumption over time. In Afghanistan, for example, where mobile phone usage has risen sharply since 2001, USAID is launching a $5 million initiative to expand access to financial services to 100,000 Afghans. And in the Philippines – one of the earliest adopters of mobile money – rural residents are using these virtual pipelines to connect to new markets. However, expanding mobile money takes far more than building up infrastructure and changing consumer behavior. Many other hurdles exist that can hinder adoption. So why is it that some countries have overcome these hurdles and others have not? And what are the differences between countries that have successfully expanded their mobile money markets and those that have not? A look at Kenya’s experience can shed some light. Kenya is celebrated for its successes with M-PESA, the nation’s main mobile money service provider. In just over five years since M-PESA was first piloted in early 2007, its number of users has grown to over 15 million, over a third of Kenya’s population. 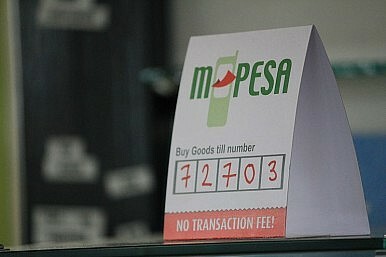 M-PESA now processes US$ 5 billion worth of transactions annually. Mwangi Kimenyi of Brookings’ Africa Growth Initiative and Njuguna Ndung’u, governor of the Central Bank of Kenya (CBK), say the CBK and government should be given more credit for their role in M-PESA’s success. They point out that “the primary factor [in the success of M-PESA] is the creation of an enabling environment through the establishment of prudent oversight that guarantees the simultaneous achievement of access and financial stability.” They go on to write that a successful mobile banking sector is contingent upon “a conducive environment for business, private sector-public dialogue in the formulation of policy, prudent oversight that keeps abreast of innovations, and removal of barriers to entry into both supply of mobile telephone and banking services.” Liberalizing the mobile phone market in the first place to create a more competitive supply of mobile telephony, supporting an efficient tax system and stable legal structure, and promoting public-private dialogue and private innovation all have contributed to creating a business climate broadly conducive to private enterprise and to mobile banking’s growth. Continuous maintenance, oversight, and consumer protection have also helped provide the necessary amount of stability for the rapid growth of mobile banking. Earlier this year, the CBK announced that it would soon start working on a mobile money platform that will have tighter security checks to safeguard transactions from the threat of cyber crimes. – Encourage service providers to expand the array of financial services they offer to consumers. By and large, the Kenyan government, Safaricom, and M-PESA have done an admirable job of addressing the governance challenges presented by the proliferation of mobile money. Similarly proactive measures should be encouraged in other countries as well. For example, in India, where the distribution of banking services is highly unequal across the rural-urban divide, state governments could work closely in partnership with local mobile service providers and financial institutions to target the rural population. Could payments for work performed for schemes under India’s National Rural Employment Guarantee Act be made via digital transfers? A similar rural-urban divide in Bangladesh leaves rural residents without easy access to financial services. While some operators are willing to invest in the market for mobile money, like Dutch-Bangla Bank Limited did last year, national and sub-national policies can help encourage further mobile money penetration, as well as support mobile financial literacy training among, and consumer protection oversight on behalf, of citizens. In all the excitement about mobile money’s potential as a game changer, the role for mutual dialogue and engagement among all the relevant actors- from governments and banks, to service providers and consumers- has received scant attention. But this dialogue is needed to develop a system that is trusted by and accountable to all stakeholders. Only then, can the expansion of mobile banking take root. Katherine Loh is a program fellow for The Asia Foundation’s Economic Development Programs. The views and opinions expressed here are those of the individual author and not those of The Asia Foundation. The piece originally appeared on the Asia Foundation’s blog: In Asia.